The romance of winter has arrived at French Blue with stunning scarves, classic raincoats and gifts bearing quintessential European charm – it’s Mother’s Day shopping bliss. Owner Catherine Matthews has sourced gorgeous scarves by Pom. Made in Amsterdam in cotton as silky as English Lawn, they’re adorned with artwork from turtles and tigers to village scenes. And stylish Italian scarves are of linens, cashmere and modal. 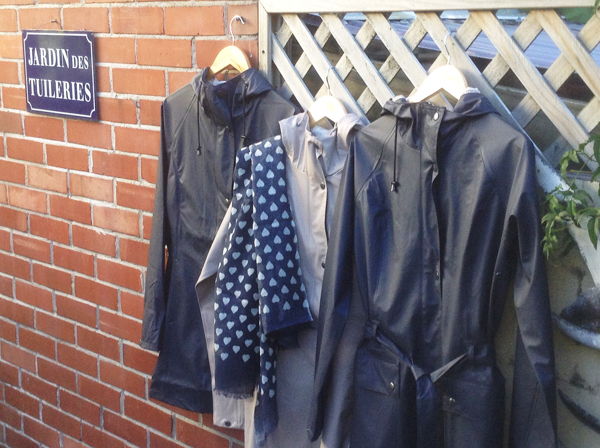 Hand-selected raincoats, by Ilse Jacobsen of Denmark, are practical but feminine investment pieces. Heavier-weight, washable, water-repellent jackets are ultra-warm as are the quilted coats. In contrast, the shell and feather-down jackets are super light. Colours range from mustard, taupe and French pink to inky-hued navy. Shaped to fashionably flatter, the detailing is divine. Other gifts for mums are beautiful interior books, handmade European jewellery, candles and French soaps in glamorous scents such as cassis and mistral – or why not gift champagne or prosecco gummies in a classic little lolly jar?